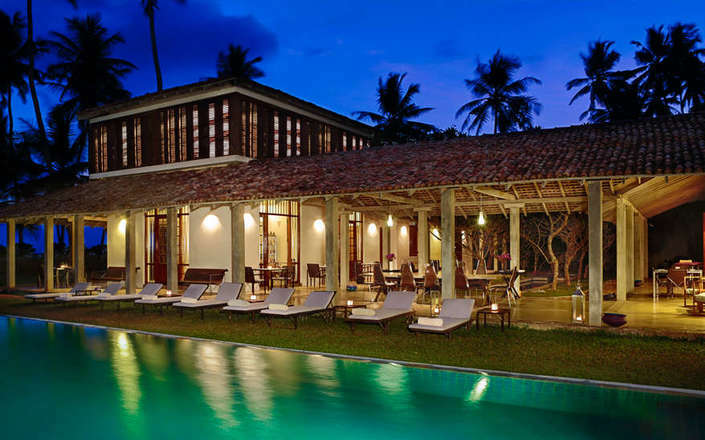 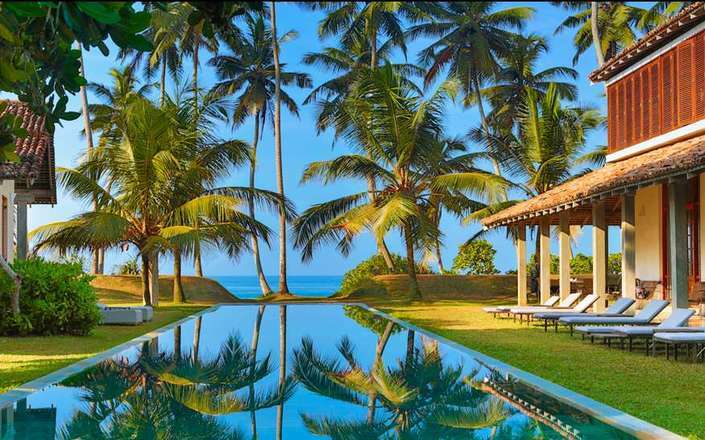 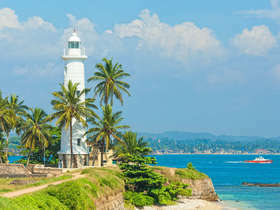 Designed by eminent Sri Lankan architect Channa Daswatte, the Frangipani Tree is a luxurious and stylish beachfront property set along a secluded beach in the small fishing village of Thalpe, 20 minutes from historic Galle. 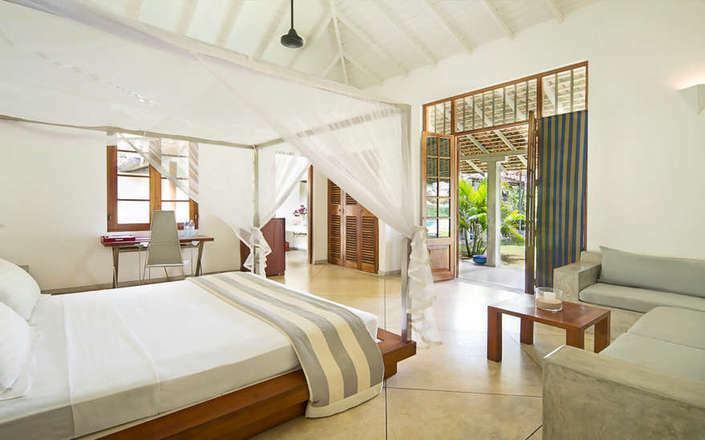 Noted for its elegant interplay between inside and outside space, the Frangipani Tree offers accommodation in nine spacious, air-conditioned suites scattered between three villas. 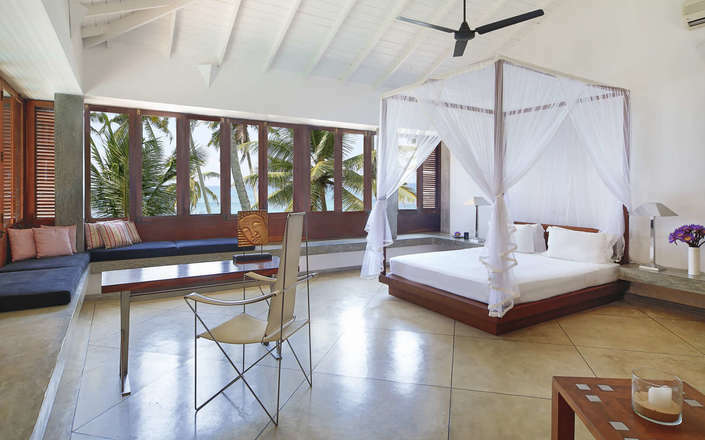 Each suite features high ceilings, cement washed floors and is comfortably furnished with four-poster bed, plush sofa and a writing desk. 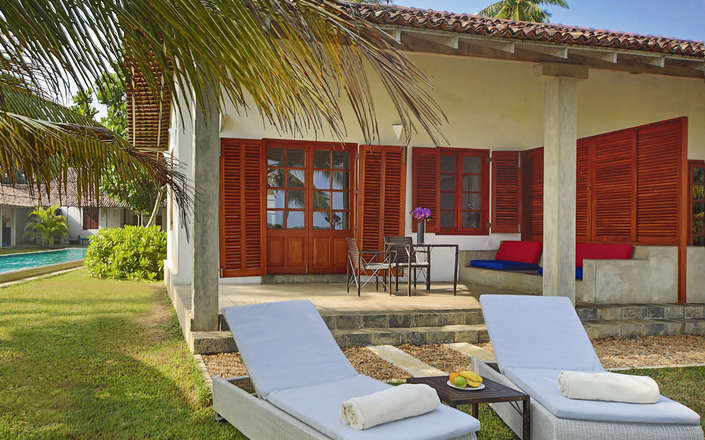 While most have verandahs or private terraces that open out to face the shimmering Indian Ocean, there are two suites that are set back from the beach and open out onto a courtyard lined with flowering Frangipani trees and the outdoor swimming pool. 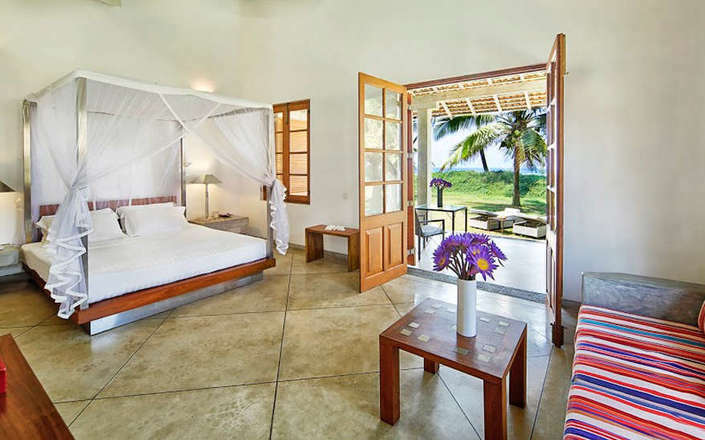 None of the suites have an in-room television or telephone, but Wi-Fi is available throughout most of the property, for in-house guests. 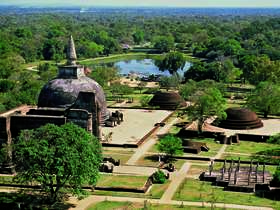 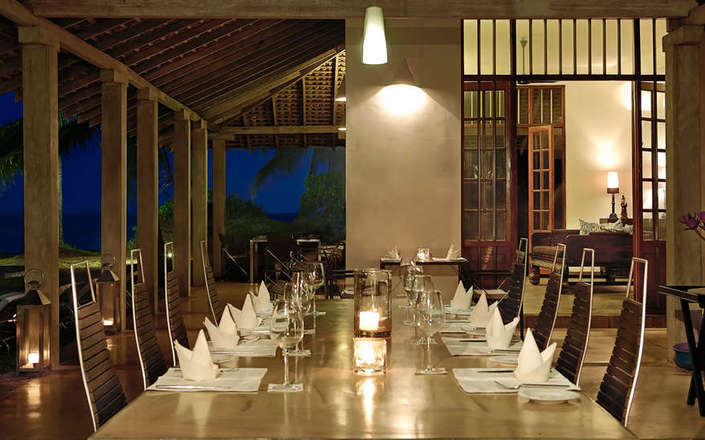 Frangipani Tree’s restaurant offers a wonderful choice of traditional Sri Lankan curries and Mediterranean cuisine prepared using the freshest of ingredients. 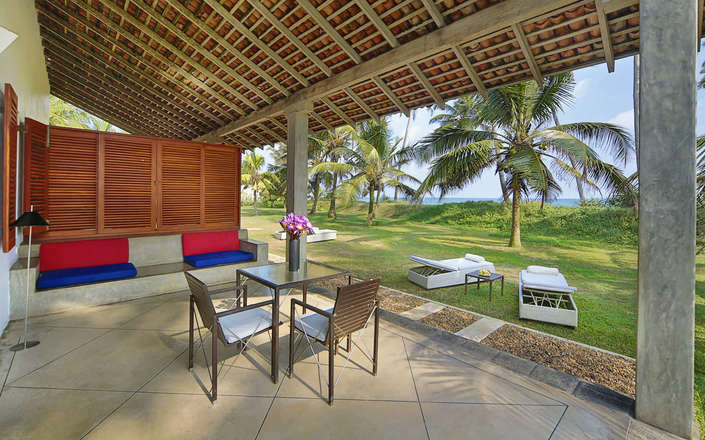 Leisure facilities at this seaside sanctuary include an outdoor pool and outdoor tennis court. 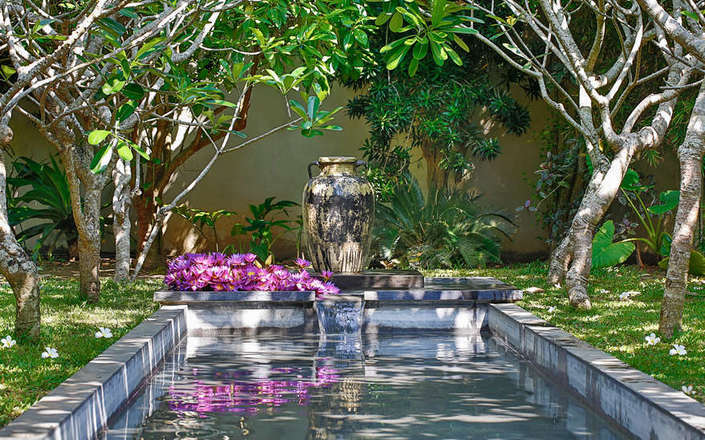 With advance notice Frangipani Tree can arrange in-room massages and private yoga lessons.